Fellow Chesterfield Pilot Association members and friends, we are looking forward to our annual Dinner Social on April 13, 2019 from 6:30 p.m. – 9:30 p.m. at Dolce Vita 2401 Colony Crossing Place, Midlothian VA. Cocktail hour begins at 6:30 p.m., with dinner and a speaker presentation to follow. This is not a business meeting! It is a social, so please bring your spouse or guest to enjoy the night. Each attendee will be able to order from the regular menu and is responsible for their own charges. Past events have proven to be a fun night and you do not want to miss it. Pre-registered members will be eligible for a door prize! Please register for the event so that we can provide the restaurant staff with a good headcount to manage expectations. Meet our featured speaker, Amy Lacey is the host of ‘Virginia Currents’ on WCVE-TV (PBS). She will explore some of the topics and places ‘Virginia Currents’ has visited this season and have a question and answer session with Amy about what it takes to cover stories across the Commonwealth. Amy is an award winning broadcast journalist who has worked in Central Virginia for more than 15 years. Amy strives to use her voice to give one to people and issues that need it and holds a deep desire to deliver news that is compassionate and goes beyond the surface. 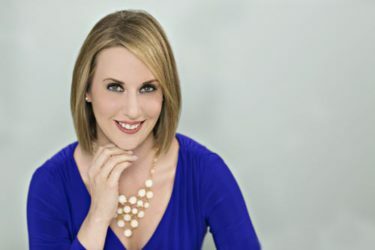 For her work, Amy received the Radio Television Digital News Association (RTDNA) national Kaleidoscope Award for excellence in covering diversity an unprecedented two times and was named Best News Anchor in Virginia and West Virginia in 2011, 2013 and 2014 by the Associated Press (AP). Various Richmond area nonprofit organizations have also recognized Amy’s commitment to the community.